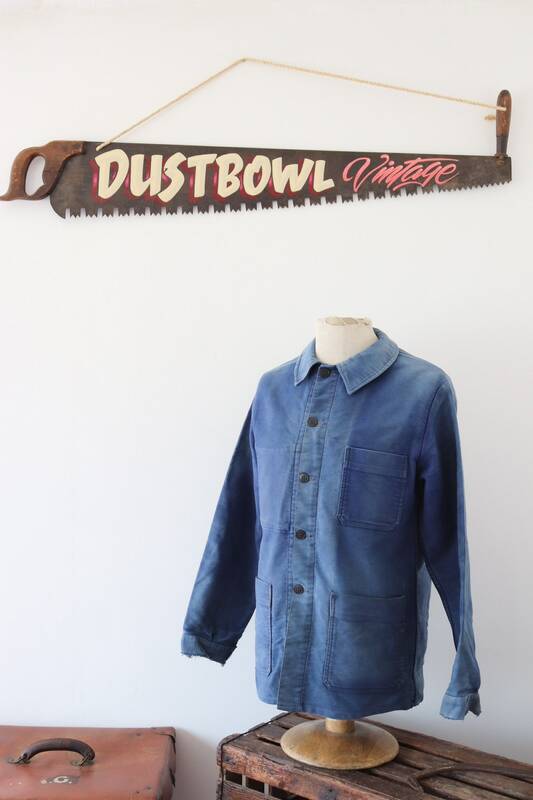 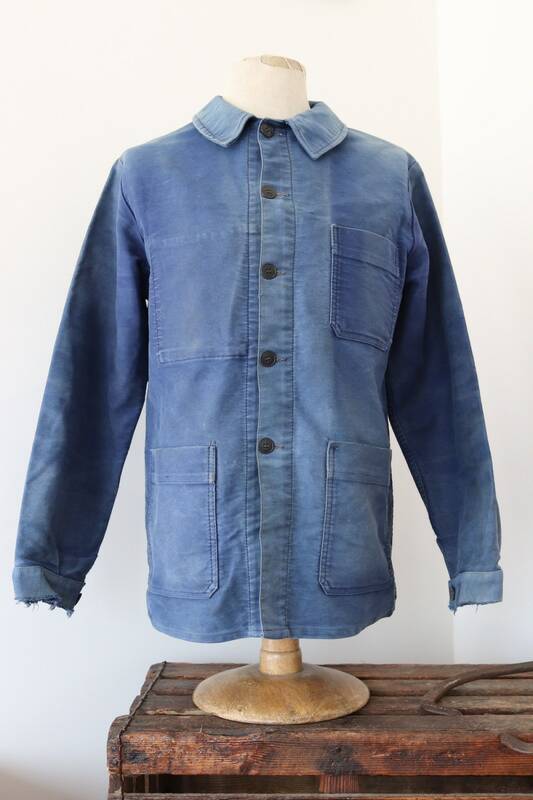 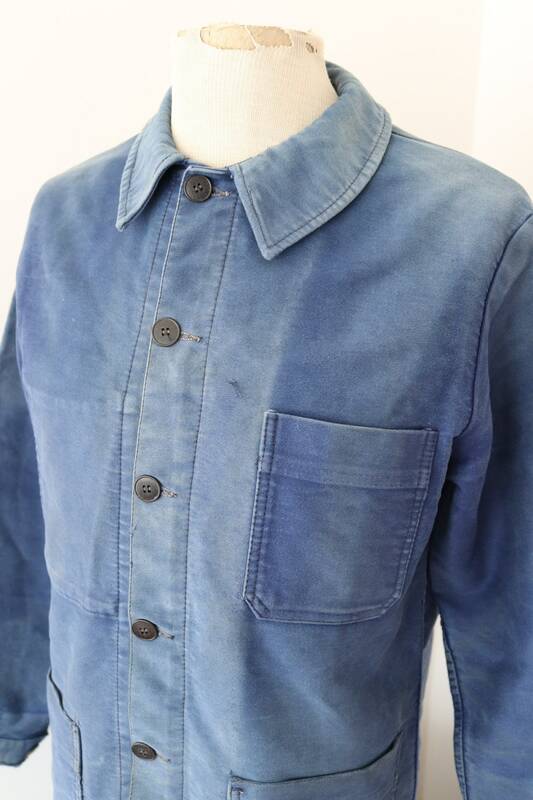 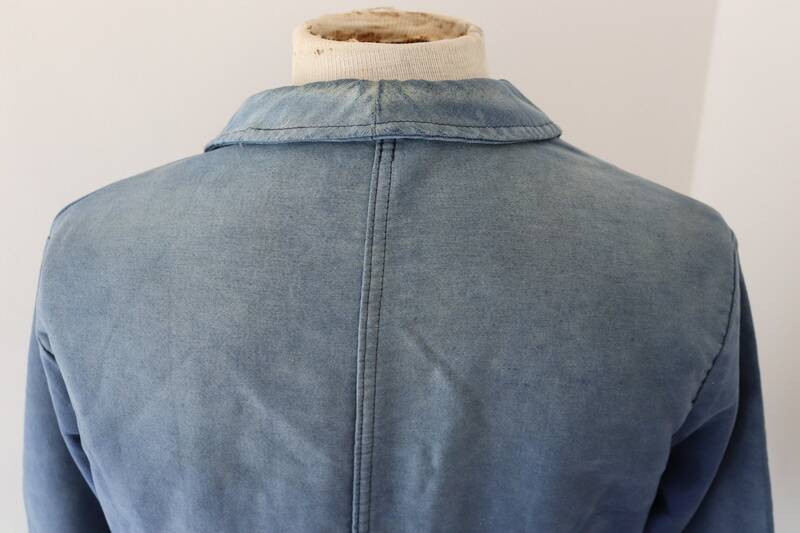 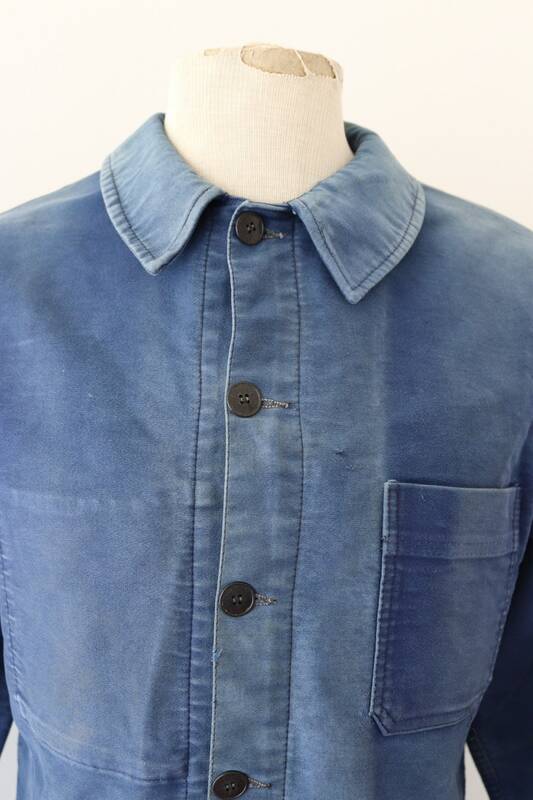 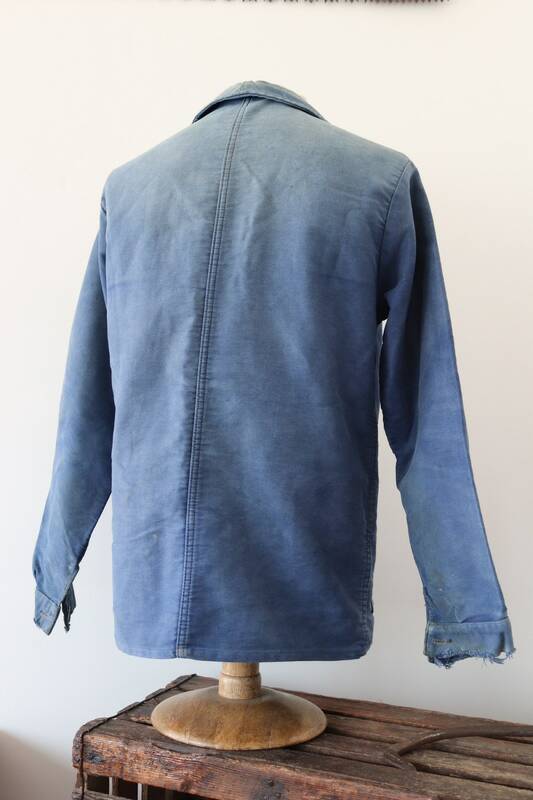 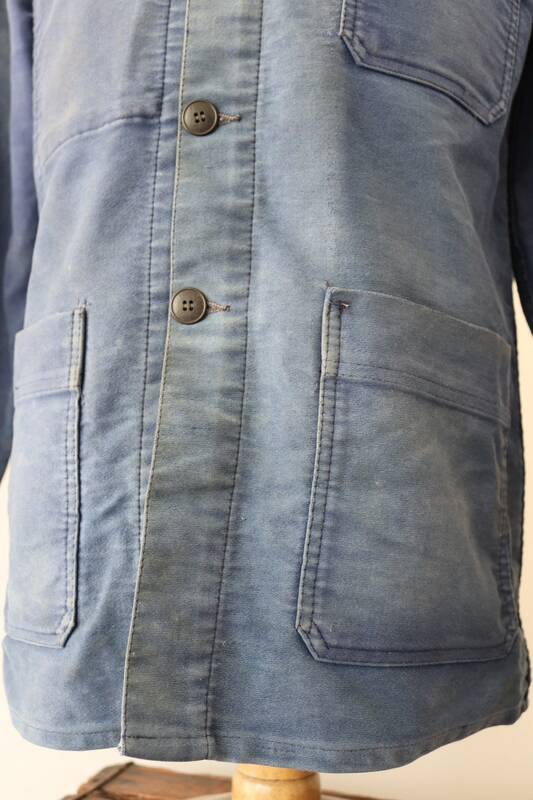 A faded blue French moleskin chore jacket dating from the 1960s. 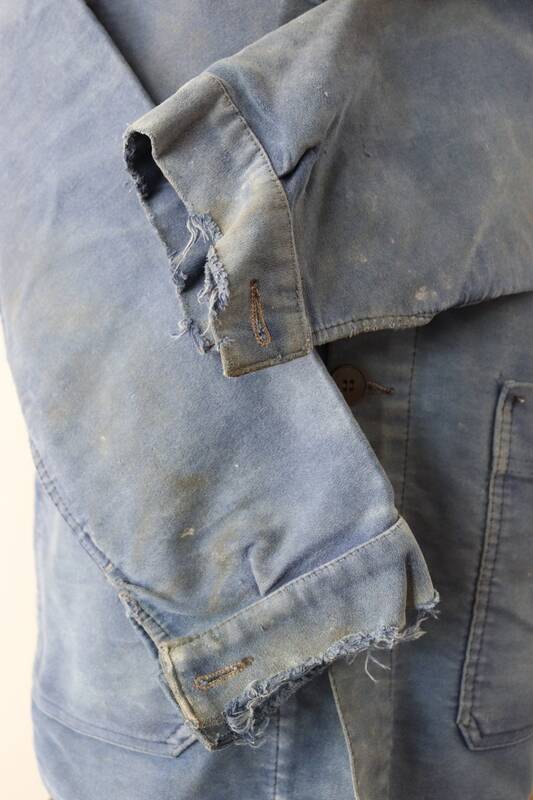 Noted flaws - faded colour throughout, fraying at the cuffs and marked throughout - please see photos. 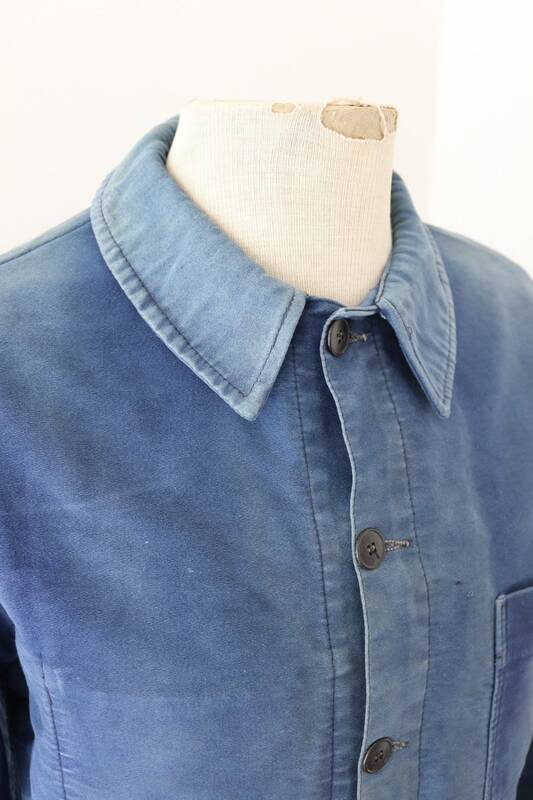 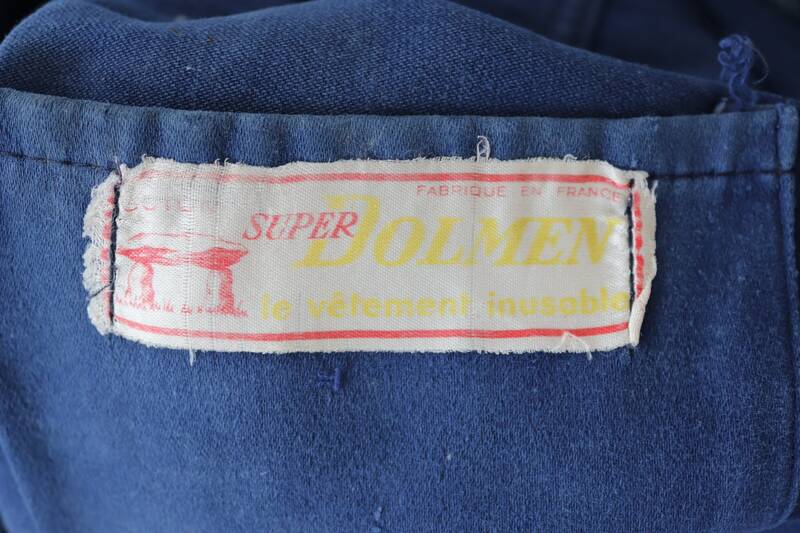 Rounded collars, soft, thick moleskin fabric, great sun fading, classic French workwear.